Eric King sits on death row. The people of Arizona plan to execute him on 29 March. Though I stand mute for most executions, I fervently oppose this one. I believe Eric King may in fact be innocent of the crime for which he is to die. This is the fifth and last part of a my series on Eric King series. Prior to reading this Part 5 you should first read Parts1, 2, 3, and 4. Part 1 is here. Part 2 is here. Part 3 is here. Part 4 is here. A link at the each Part will lead you to the next, leading you right back to this post. 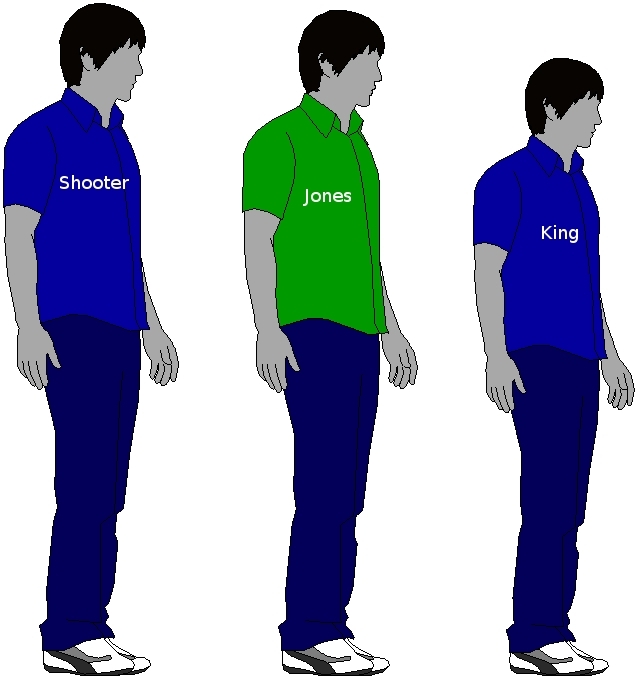 The scaled image below shows that Arizona risks executing an innocent man. Michael Jones admits to being at the shooting. His story freed him from custody and placed Eric King on death row. Phoenix Police Sergeant Richard Switzer, however, intercepted Jones and his companion as the two of them were walking from the murder scene. The companion fled and was not apprehended. Sergeant Switzer noted that the companion was taller than Jones. 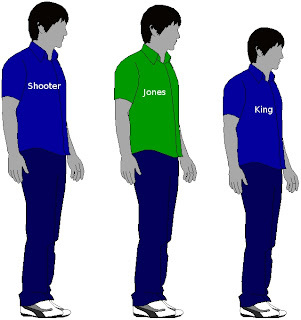 Jones is 6 feet 1 inch tall. Eyewitness Frank Madden confirmed Sergeant Switzer's height estimate. He noted that both men were slightly over 6 feet tall. Eric King is 5 feet 8 inches tall. 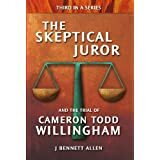 I write of wrongful convictions and executions under the pseudonym The Skeptical Juror. I have publicly previewed on my blog each of the U.S. executions this year. In all cases except two, I found no possibility of innocence. 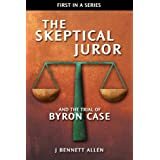 I therefore stood mute on those cases, neither supporting nor opposing them. In the case of Richard Clay, I opposed the execution and wrote to Missouri Governor Jay Nixon. Governor Nixon, for reasons likely unrelated to my efforts, commuted Clay's sentence to life in prison without possibility of parole. I now oppose the execution of Eric King. I give my reasons in an extended five-part series on my blog at www.skepticaljuror.com. 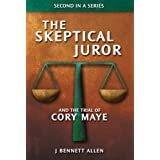 I recommend that you read that series before allowing the execution of Eric King. You will learn that the evidence against King came in exchange for the freedom of the one person who admitted to being at the murder. You will learn that the testimony of those people having no motive to lie exculpated King. You will learn that the lead detective, Armando Saldate, earlier had his "honesty, competency, and overall reliability" questioned by his own department, and later played a key role in placing four other people on death row. One of those, David Hyde, had his conviction reversed and now walks free. The cases of two others, Debra Milke and Eldon Schurz, are seriously tainted by Detective Saldate's questionable "honesty, competency, and overall reliability." The evidence of Eric King's guilt, as portrayed in the image above, is so easily understood that his execution, if allowed to proceed, may become as notorious as that of Cameron Todd Willingham, late of Texas. Governor Perry wrestles to this day with Willingham's execution. Governor Nixon's decision to spare Richard Clay, on the other hand, has proven to be unremarkable. Governor Nixon seems to have received neither praise nor scorn. I ask that you consider clemency for Eric King. Contact information for Governor Brewer is here. Contact information for the Arizona Board of Executive Clemency is here. If you oppose the execution of people who may be factually innocent, please contact both the Governor and the Board. Please express yourself firmly but respectfully. I offer my sincere best wishes to Eric King, his family, his friends, and his supporters. Unfortunately, the Arizona Board of Clemency voted 5-0 against clemency today. Good. He's guilty and should accept his sentence for murdering those two men.